Production Brown egg layers, shipped at 15-24 weeks old. Each month we start a new batch of Red Stars. 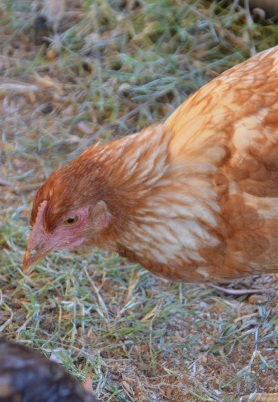 Red Stars are the gold standard in brown egg production. Red Stars will start laying at around 22-23 weeks. They lay a large brown egg and are an easy to raise bird. Our chicks are vaccinated for Mareks are kept in the brooder for 3-4 weeks depending on the outside temperature. When they arrive, they are given Gro Gel, warm water with Quick Chick and a little sugar dissolved. Around the time that they start jumping on the side boards of the brooders, we move them onto pasture. In the pasture they have free access to fresh grass, weeds, seeds and bugs. Please note: In order for these birds to begin producing eggs at 22-23 weeks, they must be maintained on a high quality diet. We feed them a special formula that is 1.1 % Lysine, 24 % Protein. 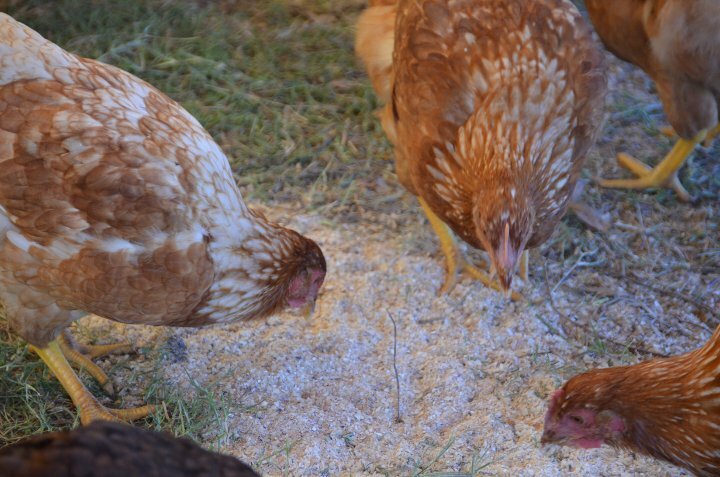 An equivalent feed will be needed for them to begin laying. Are the starter pullets shipped overnight, as I see the available dates are on sunday? The 4-9 week and 15-22 week old females are shipped Express Mail to the post office. Sorry we are unable to guarantee overnight delivery. I have about 9 red stars left in my flock and they are about 2 years old and laying well. I want to add 10 new pullets to this flock. Can I simply put new pullets in with them? Whenever introducing a new flock to an existing flock, it is always suggested to keep the two groups separated in a way they can see each other. This separation allows them to get used to each other (seeing and hearing) without physically getting at each other. This slower introduction reduces stress on the birds and makes for an easier transition. I need a red star rooster ,do you sell them ? No, we only sell the males as newly hatched chicks. Minimum order would be 15 chicks. No, the birds are shipped to the post office. They would call you upon arrival to pick up the order. Are these red stars debeaked? No, we do not debeak any of our started pullets. What is the minimum order for Red Stars? On the Juvenile females you may order as few or as many as you would like. I would like to get these ones but I also need egg laying ones...could these work for both? 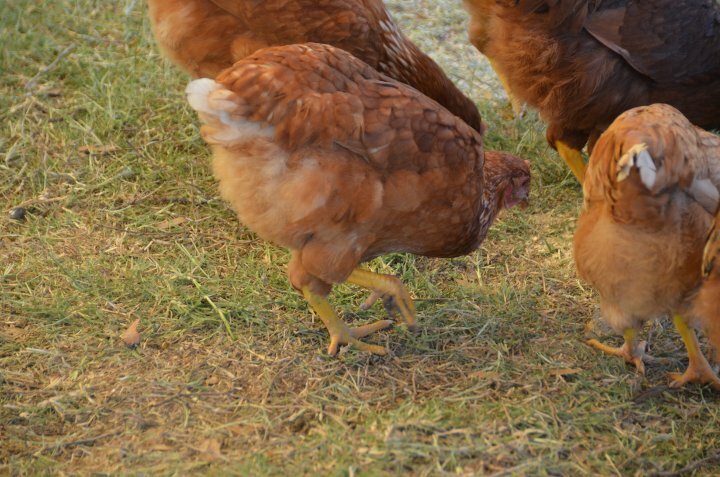 Most of the breeds we sell as started pullets are used mostly for production. But the Buff Orpingtons and Delaware are good for dual purpose birds. So Excited!!! 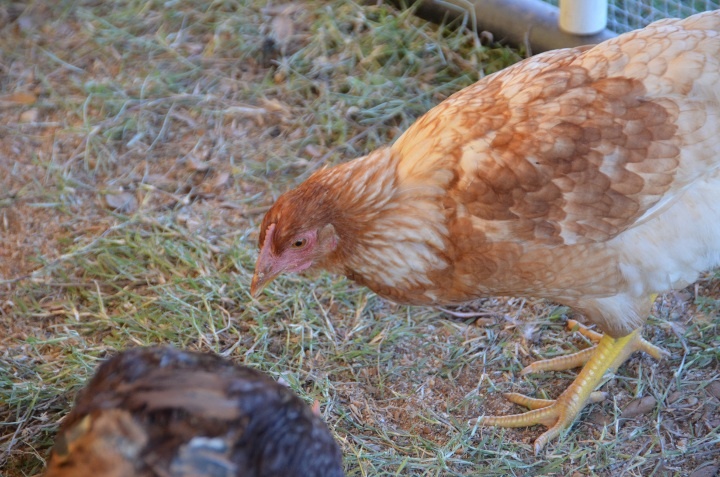 !This is the first pullet I have ever ordered and she has been such a great bird. "Red" arrived April 20th and today May 30th she laid her first egg, and then another!!! "Red" is such a sweet bird, she's really friendly and ALWAYS has to see what you are doing!! She's been great with all the smaller birds in the coop and loves my kids. Thank you again McMurry for another great experience!! WOW DON'T BOTHER!! !I am so disappointed in Murray McMurry right now!!!! I have ordered so many chicks in the past with no issues. Today I went to order the Red Star Pullets because of the $20.00 off savings if you bought 4. First I was told the special was off. When I informed the operator and had to tell her where it still appeared on web site she did honored the sale price. BUT when she told me it was $150.00 for shipping (WOW!!! That is CRAZY!!!!) I have never paid that kind of price for shipping and yes I have ordered 25 or more chicks at a time BUT FOR GOODNESS SAKE THESE 5 PULLETS I ORDERED (ACCORDING TO THEM ARE GETTING READY TO LAY EGGS) SHOULD BE BIG ENOUGH AND HEALTHY TO SURVIVE!!! IF THE SHIPPING COST HAD OF BEEN POSTED UP FRONT I WOULD NOT HAVE BOTHERED TO WASTE MY TIME!